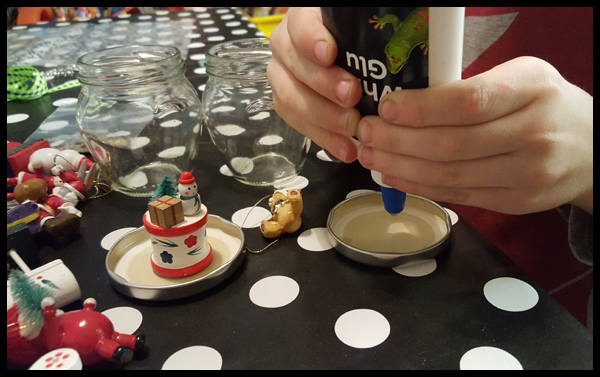 Last year my #Bostikbloggers theme was snow and I had originally thought of creating Frozen themed cards to accompany our Frozen advent calendar, but after watching Max for the umpteenth time that day shake my snow globe, I just knew that was the perfect craft for him! I love how quick and easy these are to make! 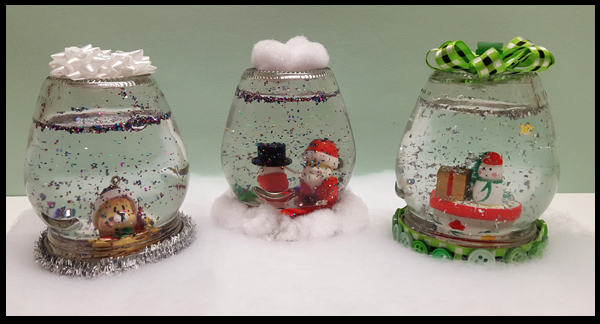 Any jar can be turned into a lovely snow globe, one with a tight lid is obviously best such as baby jars and jam jars but jars that hold liquid such as sun dried tomatoes also works well. 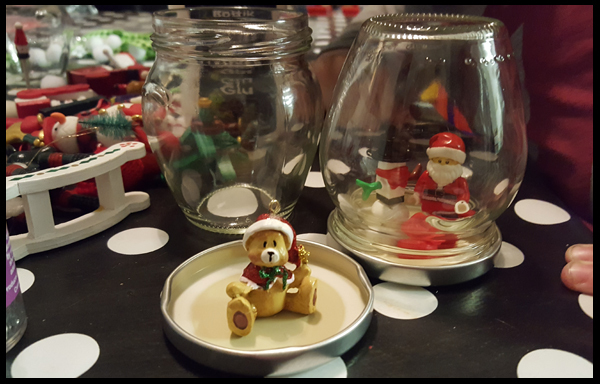 I used jars that I had left over from the Bottle company and these are a perfect size for little hands. 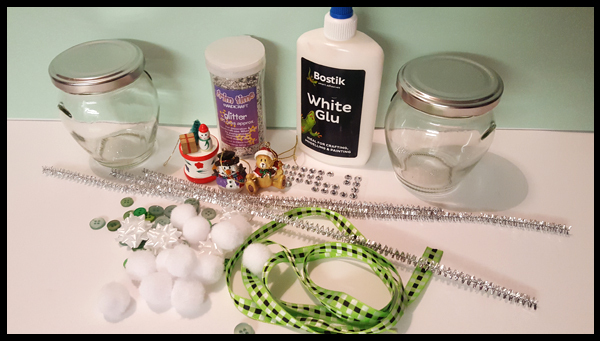 We glued the ornaments to the lids of each of the jars and left out to dry. 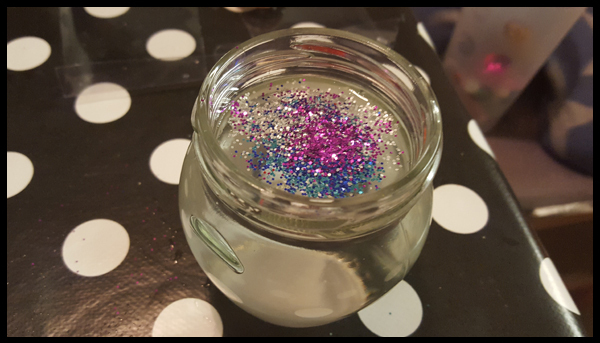 With tight lids, you don't need to add glue, but if you do I would suggest clear and not white. 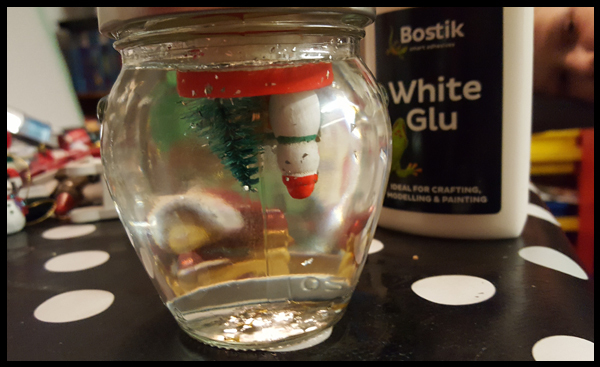 Our first attempt saw us glue the lid shut and then the white glue mixed in with the water and made it too murky to see through. 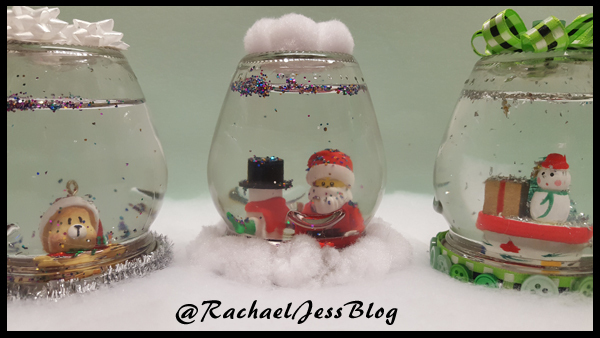 Decorated with a few accessories our snow globes now sit pride of place on our dining table. 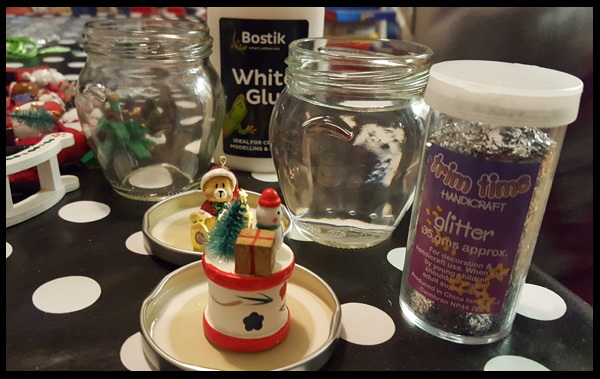 As I mentioned at the start this is a very quick and easy craft project, one that my boy (who has an attention span of 20 minutes maximum for crafting), helped all the way through with. I'm off to find the lid to the sun dried tomatoes now.